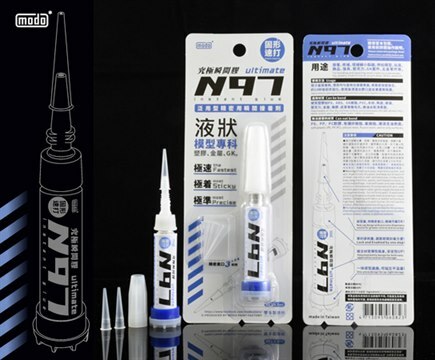 Â·New cap design with precision dispensary nozzle for greater control and accuracy. Â·Lock and Enabled by one step. Â·Patented bottle design for both easy application and secure storage. Apply adhesive sparingly to one surface and then press parts together to achieve rapid bonding. Impermeable,oil-free,dry,and clean surfaces such as hard plastic(PS,ABS,GK resin,PVC),wood,ceramic arcylic,glass,arcylic sheet,metal rubber,and leather. soft plastic(PE,PP,PC),silicon resin,fluoro resin,wet or oily surfaces.